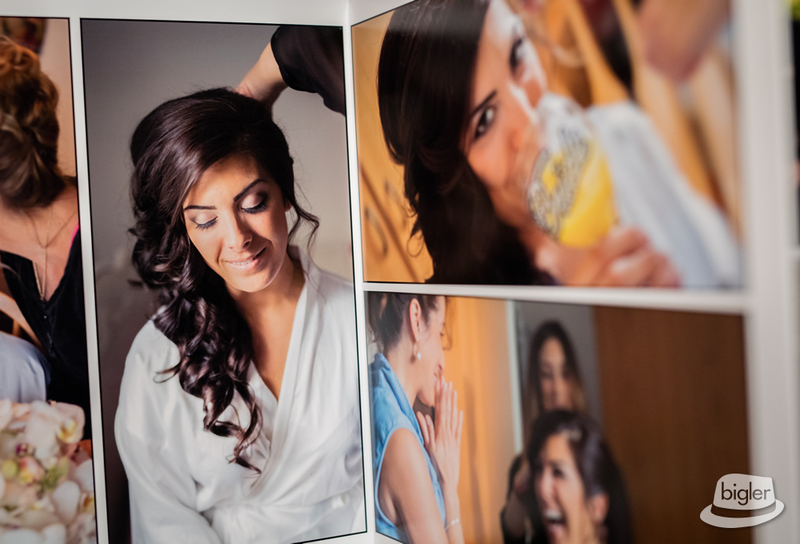 A wedding album is a true thing of beauty! 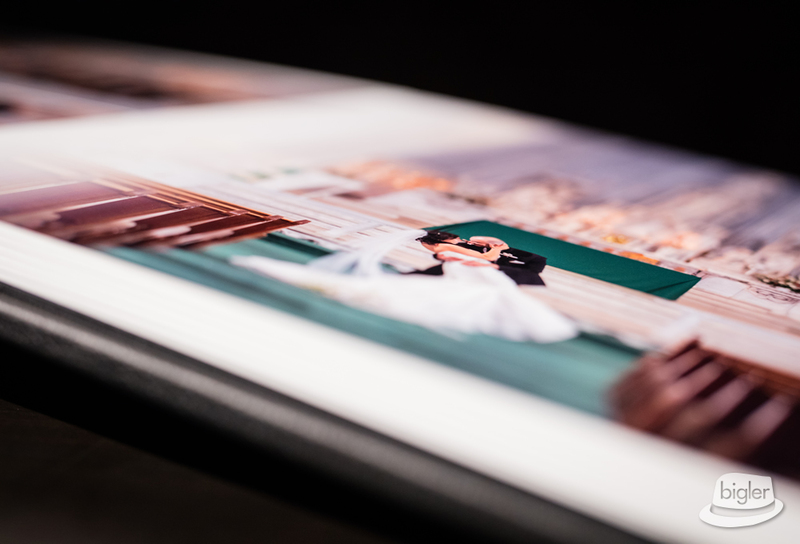 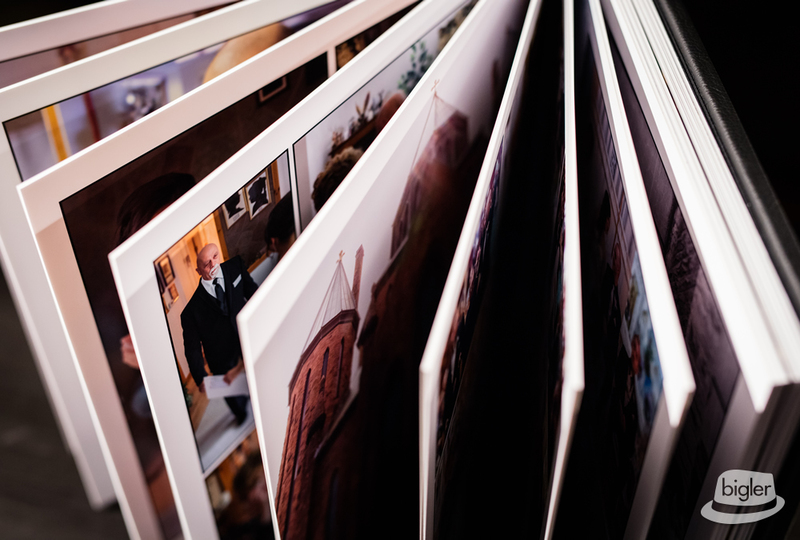 The time and energy that a couple puts into their wedding day (as well as all the work of all the wedding vendors involved) all culminate onto the pages of the wedding album. 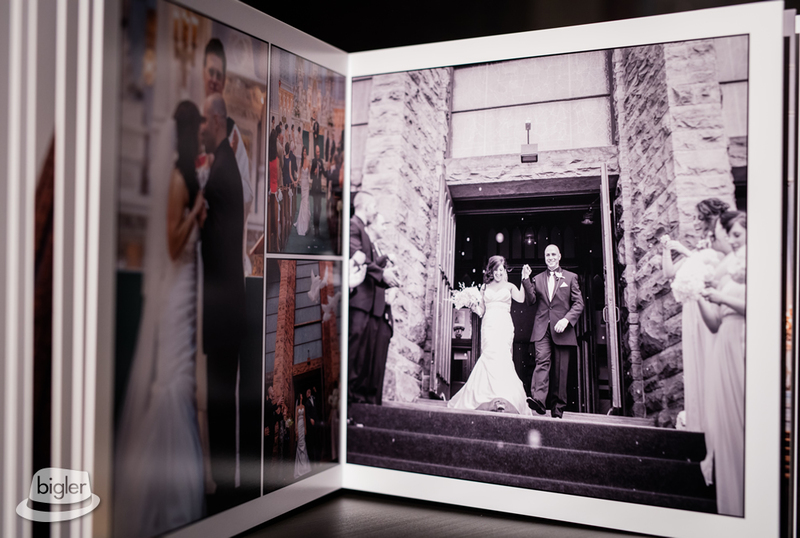 Ashley & Dino have an amazing custom album that I just go nuts over. 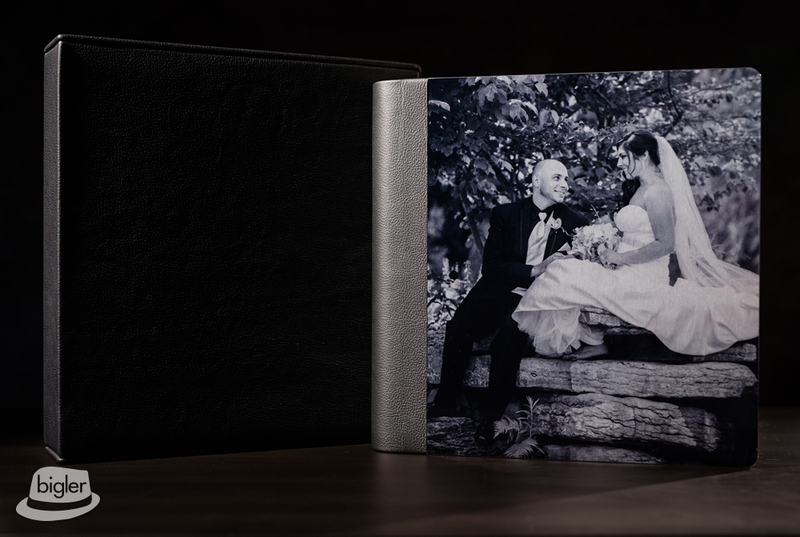 They choose to do a 12″x12″ black leather album with a custom metal cover (such a cool accent). 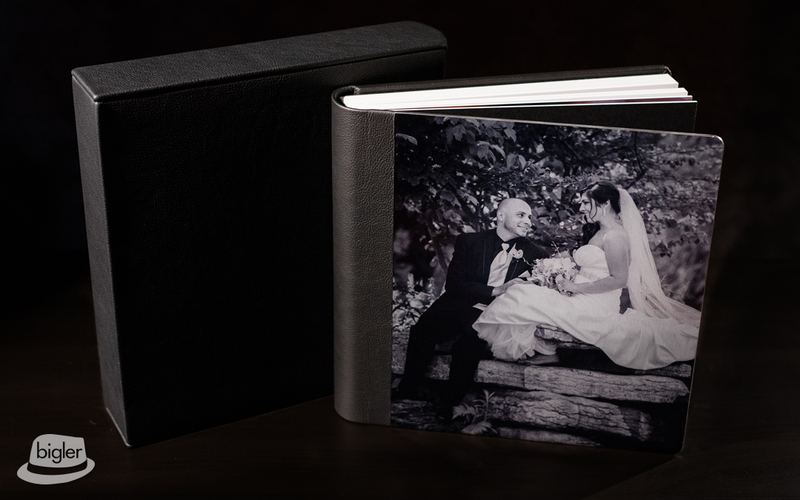 The pages are a classic photo paper with an art matte finish. 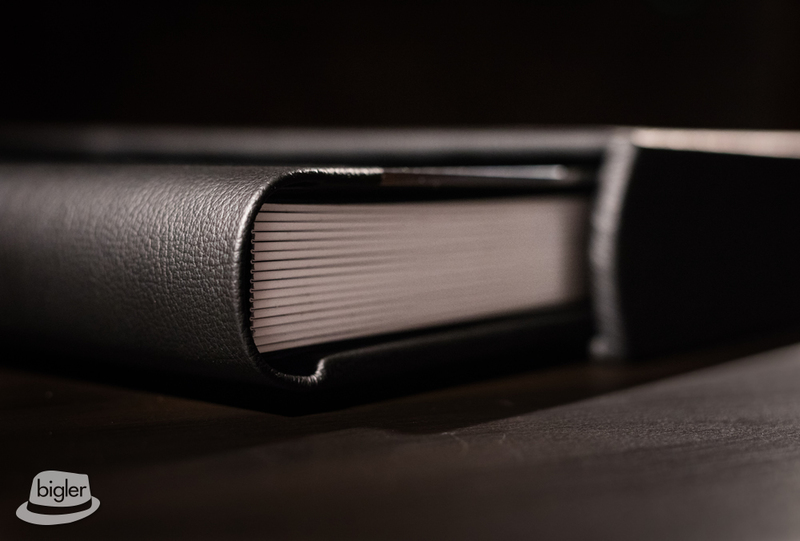 They also choose to protect their album with a leather sleeve custom fit to their album. 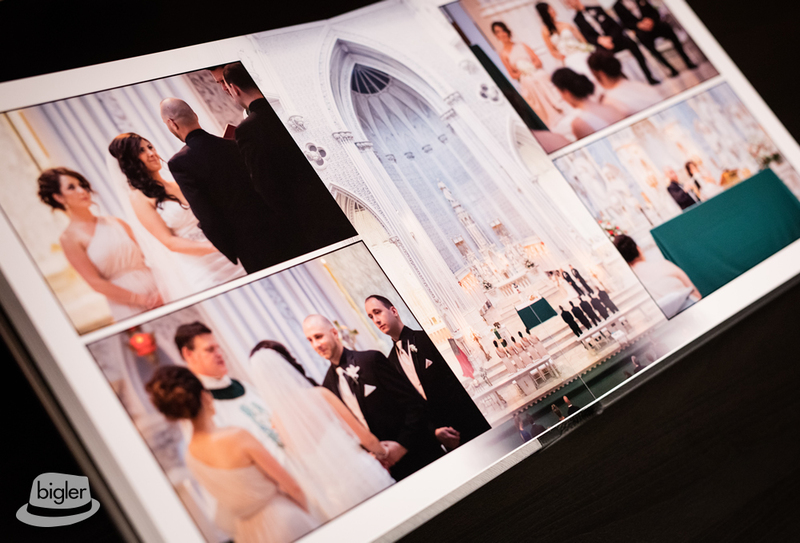 Thank you Ashley & Dino; you did a great job picking the specs for this album!